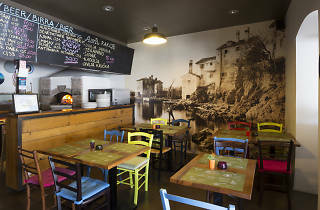 Pizzas, pastas and salads are served in this bright bistro furnished with rustic oak tables and brightly painted chairs. Culinary riches of the Kvarner region are an important part of the menu, with local goodies like asparagus and truffles making seasonal appearances. 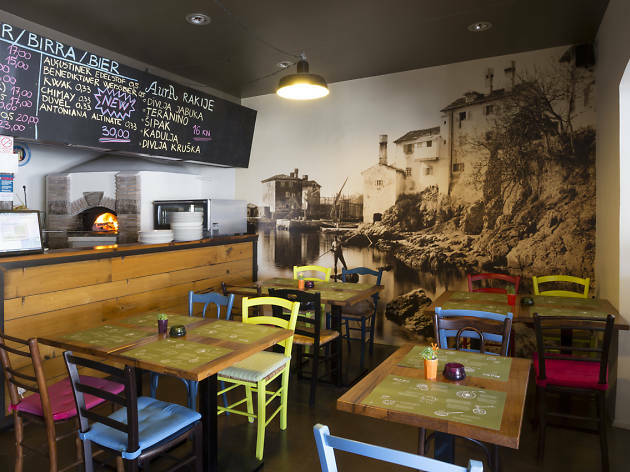 The terrace, with its recycled chairs inherited from the Opatija summer theatre, the looks out on Volosko harbour’s bobbing boats.